Well, the gummint has finally made it official, proclaiming something that any farmer or rancher could have told them at least two months ago. Nothing like a bit of disconnect between reality and the world of politics. I track rainfall, and since July, we’ve had 2 ¼ inches of rain and 8 inches of snow, which probably gave us the equivalent of 2 or 3 inches of rain. In a normal year, we would have had 15-20 inches by this time of year. 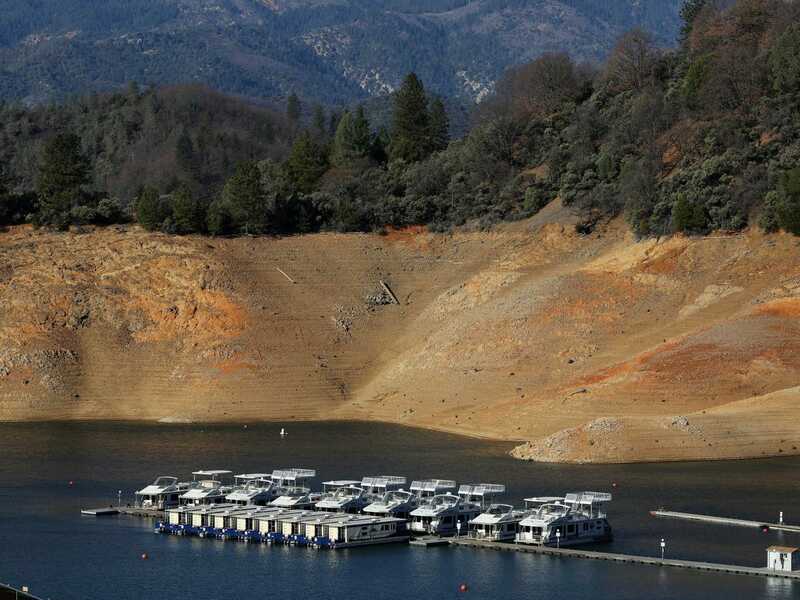 So what happens in a drought year? Well, to start, the grasses we depend on for spring pasture don’t grow. 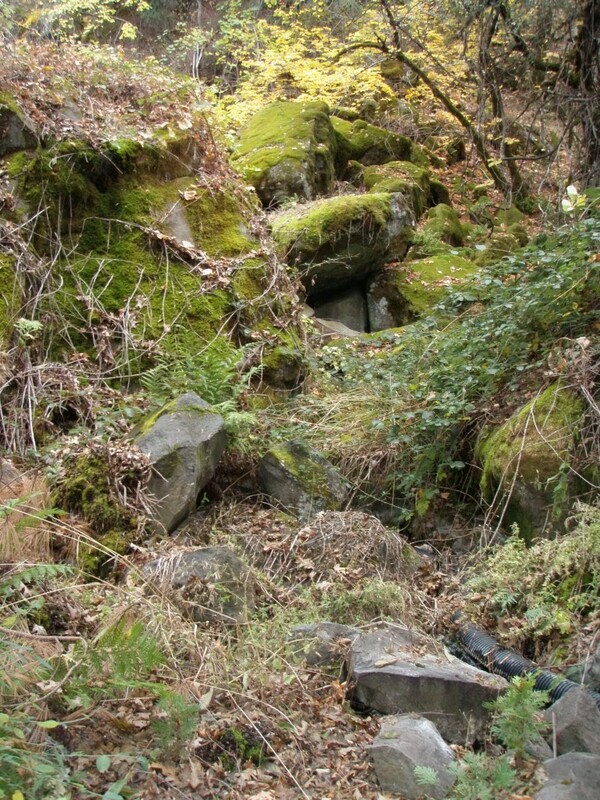 In a normal year, the fall rains replenish the roots of the grasses and forbs. You can see it if you look closely at the base of the dried plants — a small spurt of bright green. Each rain after the first one will expand the green area very slightly. By the end of January, the plants are poised for warm days. When those days arrive, it’s a veritable explosion of growth. Grass will literally grow an inch or more overnight in response to warmth and adequate moisture. What’s worse in our area is that many ranchers use winter ranges. In arid areas such as ours, beef cattle are turned out into large un-irrigated pastures as soon as there’s enough water in the seasonal creeks. They graze on the dried grass all winter, with the occasional hay supplement in some cases, adding nutrients to the land through their manure and urine. Once calving is finished, they come down to irrigated summer pastures, which have often been cut for hay before the cows arrive. 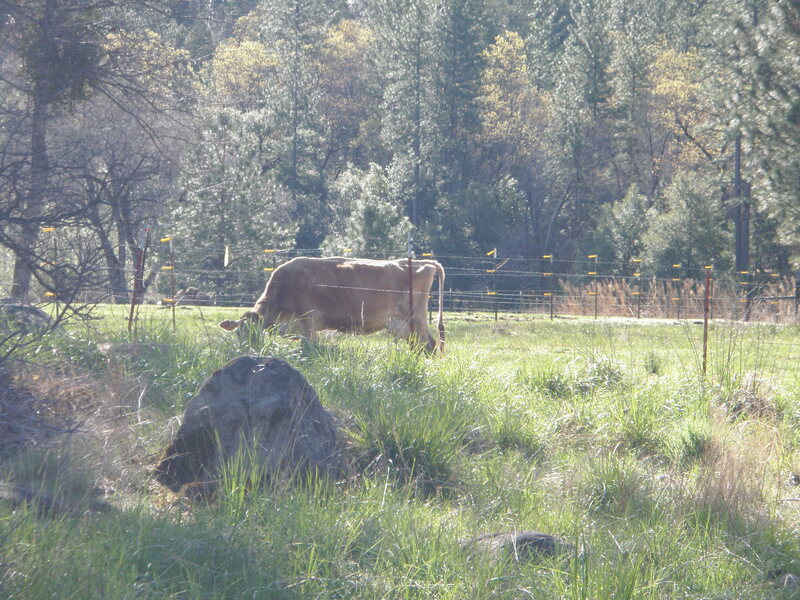 In a drought year, not only is there less forage for the cows, they eat what is there down to the ground, which means the pastures will have difficulty recovering. In a drought year, it’s a double whammy – too much grazing and not enough water. Ranchers who don’t have anywhere else to move their cows often buy hay and feed their stock all winter on the winter range, which does add some carbon and nitrogen to the soil but adds to the cost of raising the beef. On our place, we have some areas we can irrigate and others where we depend on winter rains. I don’t have enough cross fences built to separate the stallion from the filly we don’t want bred yet, or the pushy, greedy cow who eats much more than she needs from the others who go short if she’s in with them. Pastures produce better with a rest period, and I would like to be able to get everybody out of the irrigated area — which we are going to have to start watering this month — to give it a chance to grow some grass for summer grazing. Otherwise, we’ll have to buy hay this summer, instead of waiting to feed hay beginning in October or November of next fall. The big spring — still running, thank goodness. So – hard choices. Do we butcher or sell cows? Do we do the same with pigs to decrease feed costs to put more money into buying hay? And in a drought year, where will we find hay, especially the dryland grain hay typically grown around here for winter feed? Should we sell the filly? No easy answers. Multiple that by hundreds if not thousands of ranchers and farmers in California. Expect to see a glut of beef and dairy cows on the market in the next six months, as people sell animals because they can’t feed them. By fall, though, you’ll probably paying more, because the feed costs will go up for what remains and the animals that would have been coming to the sale are already long gone down the road. If ranchers have to sell mama cows, there will be no calves for beef and no replacement heifers to breed more. It’s a nasty spiral, and it’s already started. (I wrote this several weeks ago, before we had a record rain of 7 inches in 48 hours. We’re not out of the woods yet, though). This entry was posted in Farms, Food and tagged cows, drought, forage, grass, horses, pastures, pigs, rainfall, sheep, winter range. Bookmark the permalink.